We are main supplier of Micro ATX Case. We are important supplier of Micro ATX Case. 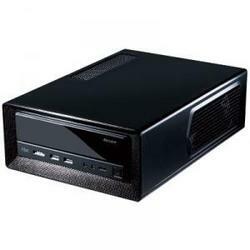 Banking on our enriched industry experience, we are able to supply Micro ATX Case. We are offering Micro ATX Case. We are dealing in Micro ATX Case. We are a top-notch organization, engaged in providing Micro ATX Case. We are a top notch supplier of New Micro ATX Models. Elite 342 (RC-342) is a mini-tower that accommodates micro-ATX, built with a modern black design body and front panel. This chassis maintains Elite’s pedigree of compact-sized and quality build that would look great in any space. Elite 342 maintains a quiet environment while providing the option of adding 80mm or 90mm rear fans to provide the best ventilation possible for a compact system. - Fashion Foxconn TLMC03 chassis with 19 in 1 card reader. - DPS-300AB-24J Power supply support EUP. In order to meet excellent quality standards, we are supplying Micro ATX Case. We are supplying Micro ATX Case. 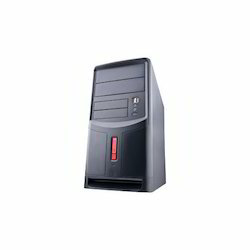 We are unique supplier of Micro ATX Case. We are supplier of Micro ATX Case. We are engaged in offering Micro ATX Case.